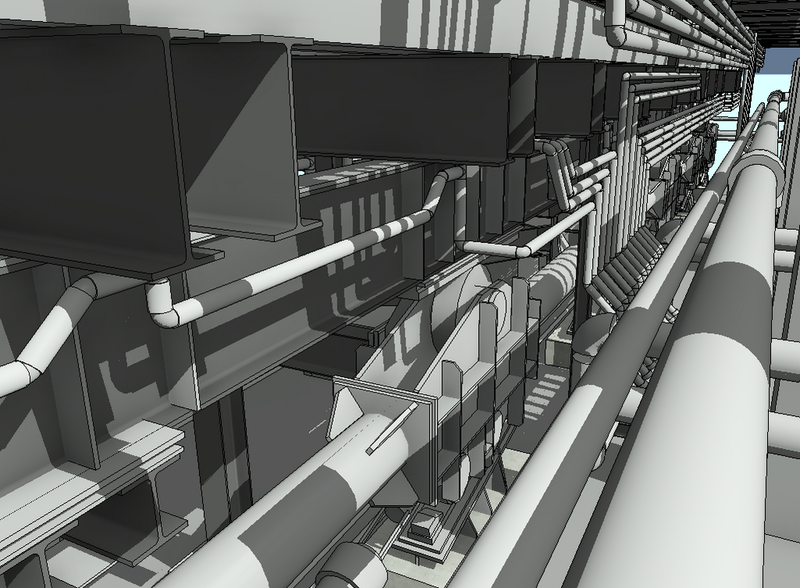 The work on laser scanning was complicated by the fact that the furnaces were not taken out of work for the time of scanning. Fieldwork was conducted without stopping production. Operators of the scanner needed to closely monitor the technological equipment of the back-up space and very clearly plan the scanner’s locations and operating time, since scanning of mobile objects would lead to modeling errors. Another factor complicating field work was the increased air temperature in the work area. In spite of these limitations, laser scanning of metallurgical production was performed in a qualitative and timely manner, which proves the reliability of the equipment and the correct choice of the scanning method. The laser scanning was carried out with the Leica ScanStation P40 scanner. Registration of point clouds was performed with a mean square error of only 2 mm. Vyksa Metallurgical Plant is one of the oldest centers of Russian metallurgy. Located in the Nizhny Novgorod region, founded in 1757. Today it is a dynamically developing enterprise, one of the leaders of pipe and wheel production, a participant of the largest Russian and world oil and gas projects. Since 1999, it is a member of the United Metallurgical Company (AO OMK). It is located in the town of Vyksa. 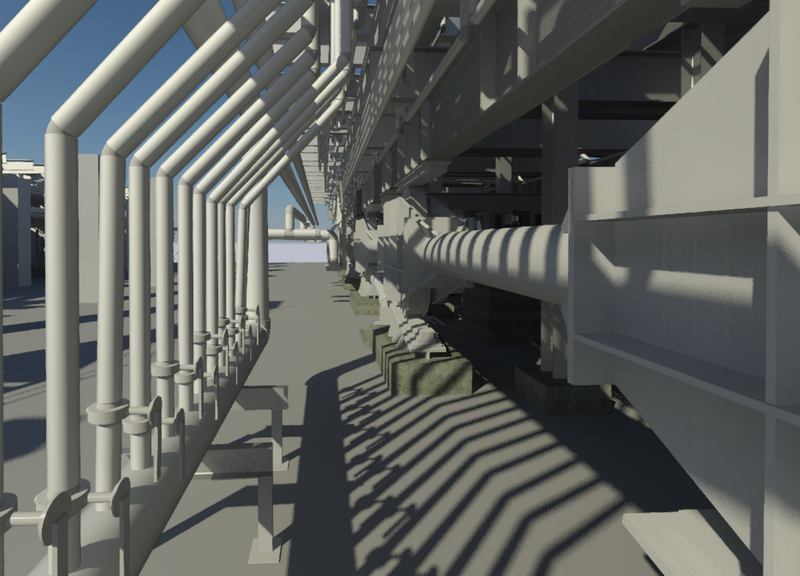 Works on laser scanning and 3D-modeling of industrial objects are profile works for Trimetari Consulting LLC. The wide experience of such works, the qualifications of the employees and the technical level of the equipment used allows us to perform works of any complexity. The possibilities of laser scanning for the industry are described in the article Industrial construction, part of the work done on laser scanning of industrial objects published in the section Projects.